New approaches to the treatment of childhood leukaemia are being developed all the time, and with this project, Owen is focusing on molecular biology. He’s developing models that can predict how certain types of the disease respond to a new set of drugs, and in the future this will improve the treatment options for all children with leukaemia. Our funding is helping the research team use molecular biology to develop ways of seeing how leukaemia responds to new drugs, an approach that will ultimately lead to improved treatments. Leukaemia is the most common childhood cancer, and new treatments are being developed all the time. 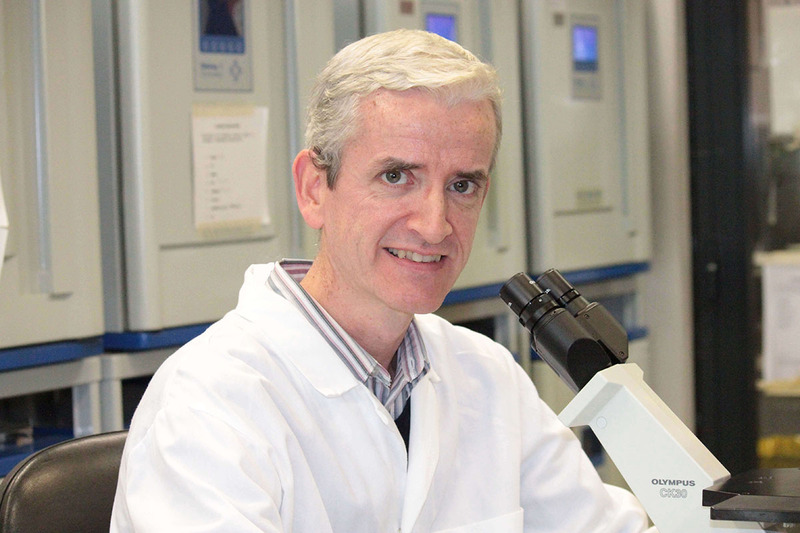 Research by Dr Williams and his colleagues at the Institute of Child Health, the research arm of Great Ormond Street Hospital, is focused on finding new treatments through understanding leukaemia at the molecular level. This has resulted in the discovery of faulty genes responsible for drug resistance in certain types of acute leukaemias. The team are focusing on a ‘pathway’ in the body that childhood leukaemias depend on, and are working to identify drugs that could be used to block this pathway. These could then be used as part of new therapies. In this new project Dr Williams and his colleagues are focusing on a cell signalling pathway in the body called STAT3. They have already proved that leukaemic cells in a common type of the disease depend on this pathway for their survival. Together with other scientists, they have shown that other childhood leukaemias are also dependent on this pathway, and that cancerous cells can be eliminated by drugs that block it. The team now plans to see whether blocking the pathway has therapeutic potential, and to understand how it is controlled in leukaemia. This knowledge will be used to identify existing drugs that are currently used for other diseases which could then serve as new therapies. They will focus their efforts on leukaemias that are difficult to treat using current chemotherapy, and identify compounds that can eliminate leukaemia cells by inhibiting the pathway, while at the same time having minimal side-effects. Drugs that have already been approved for clinical use will be candidates for fast-track use in this ground-breaking therapy. Ultimately this will improve the treatment options for children with leukaemia, especially those with types of the disease that can be difficult to treat. This project involves the laboratories of Dr Owen Williams and Dr Jasper de Boer who work in the Cancer Section of the UCL Institute of Child Health, and Dr Philip Ancliff, Consultant Paediatric Haematologist at Great Ormond Street. These doctors have an outstanding track record in childhood leukaemia research, have developed new ways to investigate the disease, and are working on inspirational new therapies that can be fast-tracked into the clinic. Dr Ancliff will bring important insights to this project, and provide invaluable clinical experience that will see new therapies are used in the latest trials and practice. We have lots of amazing events to choose from!